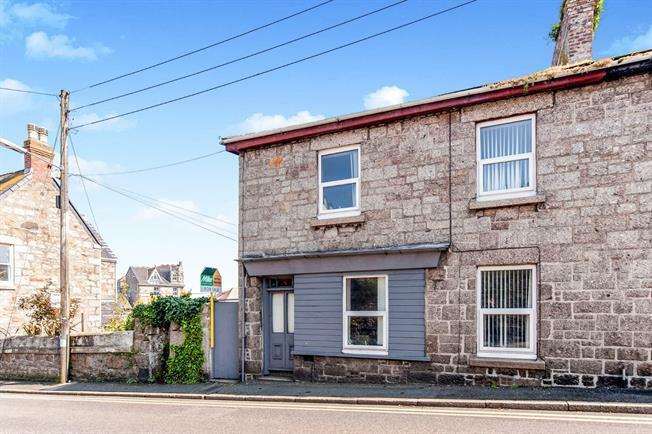 3 Bedroom Semi Detached Cottage For Sale in Penzance for Guide Price £190,000. This modernised semi detached cottage offers contemporary decor and is fully double glazed and warmed via gas central heating. It can be accessed via the front side entrance or from steps up at the rear via Duke Street car park. The well decorated living accommodation comprises in brief; lounge, dining room, kitchen and utility on the ground floor, with three bedrooms and bathroom on the first floor. To the rear is an enclosed courtyard area.